Leopard Flowers Against Green Background. 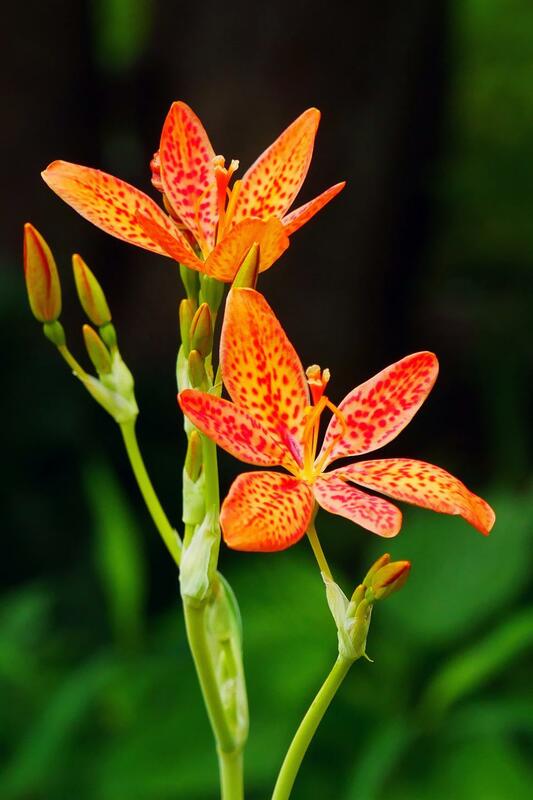 Flowers and buds of an ornamental plant Iris domestica, commonly known as leopard lily, blackberry lily, and leopard flower. The bloom of each individual flower only last a single day.